Pittsburgh Theological Seminary is pleased to name the Rev. Ayana Teter as director of vocation and placement. She’ll begin her work at the Seminary Dec. 10. Most recently Teter served as associate church consultant with The Board of Pensions of the PC(U.S.A.). Prior to her work there, Teter was associate executive presbyter for Pittsburgh Presbytery, co-pastor and head of staff at South-Broadland Presbyterian Church (Kansas City, Mo. ), and co-associate pastor at Mattituck Presbyterian Church (Mattituck, N.Y.). She has an expansive list of Board leadership. 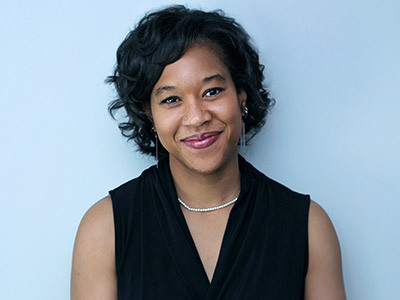 Her current service includes the Seminary’s Metro-Urban Institute and World Mission Initiative, Pittsburgh Ballet Theatre Company, Austin Seminary Association, Jack and Jill of America Inc., and Made to Flourish Network. Teter’s past board work includes Pittsburgh Pastoral Institute plus Heartland and Long Island presbyteries. Teter is a graduate of Austin Presbyterian Theological Seminary (M.Div.) and Arizona State University (B.A.). Additionally, she completed extensive clinical and coursework at University of Nebraska-Lincoln in family and consumer sciences. Beyond that, Teter has participated in a plethora of continuing education in various areas, including new church development, urban leadership, religious fundraising, anti-racism training, and clinical pastoral education. Over the years, Teter has led a number of retreats and presented on such topics as community in the way of Jesus, self-care, and planting churches in multiethnic contexts. “I feel called to create an environment of prayerful communication where congregations and judicatory members are invited to see their life, circumstances, and work in light of Christ’s call to discipleship. I look forward to continuing that calling in my new role at Pittsburgh Seminary as I walk alongside students discerning their calls to serve all God’s people through a variety of ministries,” Teter said.